Gurrumul is remembered today as one of the most important figures in Australian music history, blind from birth and emerging from the remote Galiwin’ku community on Elcho Island off the coast of Arnhem land to sell over half a million copies of his albums across the world, singing in his native Yolngu language. His debut album ‘Gurrumul’ cemented him as the Australian voice of a generation, hitting triple platinum in Australia, silver in the UK and charting in multiple other countries across the globe. 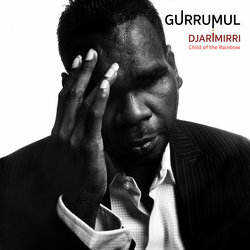 The highest selling Indigenous artist in history, Gurrumul released two subsequent top five studio albums Rrakala and The Gospel Album, achieved a swag of three ARIA Awards, performed across the globe for audiences including Queen Elizabeth II and Barak Obama and released the first Indigenous language single to reach the top five, all the while continuing to call Elcho Island home. Gurrumul also gave back to his community as the driving force behind the Gurrumul Yunupingu Foundation, creating opportunities for young people across the Northern Territory. His legacy as a musician and community leader will continue as his life’s work continues its positive impact on Elcho Island, The Northern Territory, Australia and the world.